Everest Rampage HECTORA Black 2*USB3.0 + 3*12cm Fan Gaming Case; Equipped with gaming features, there are 3 120mm fans and 2 120mm fan slots for the cooling system. 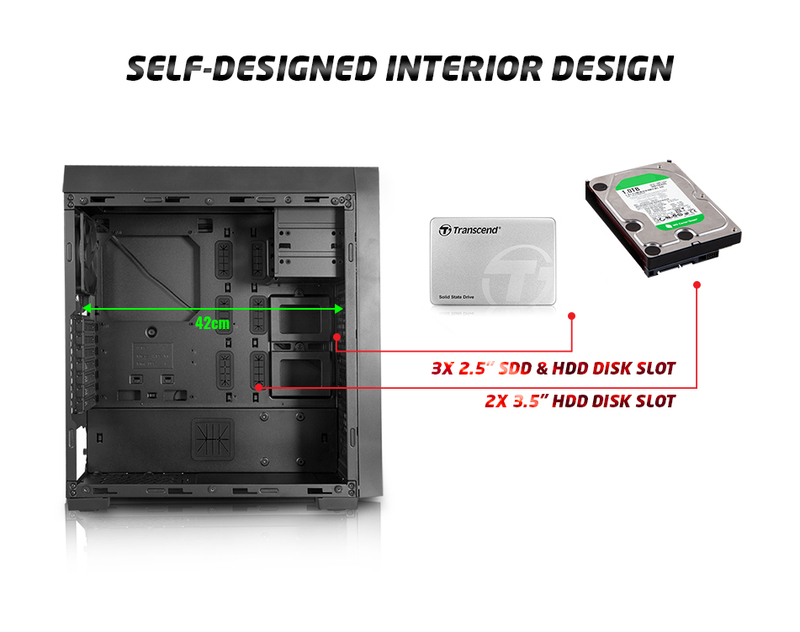 Also in our case 2x 5.25" DVD-RW, 2X 3.5" HDD, 3X 2.5"SSD & HDD slot allows you to connect multiple devices at the same time and it is easy to install. 3x120mm fan with white LED light is in the case. 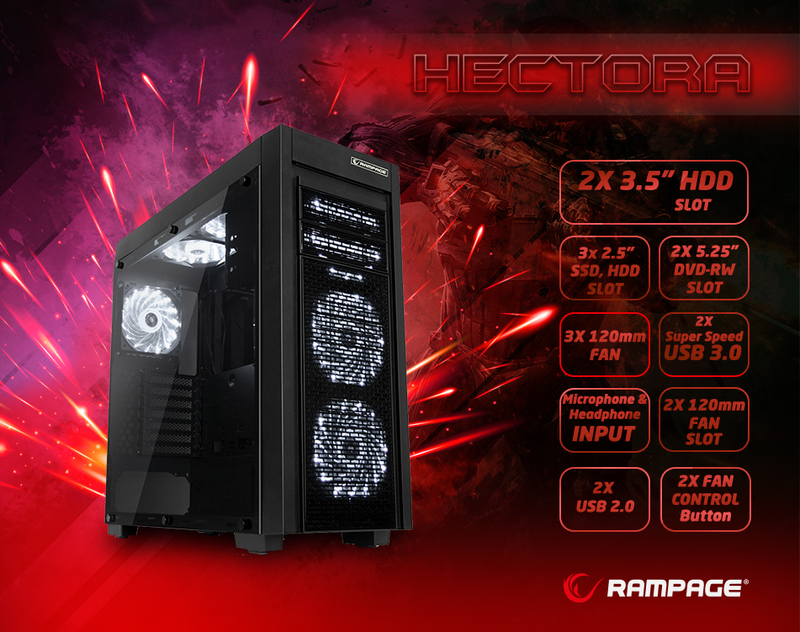 Rampage Hectora is definitely a gaming case who will please you! Check the fan speed with the 2X Fan control key. Everest Rampage HECTORA Black 2*USB3.0 + 3*12cm Fan Gaming Case; Data storage and specially designed to the input of DVD-RW screw, HDD, SSD mounting slots designed and manufactured can be easily removed from sockets. 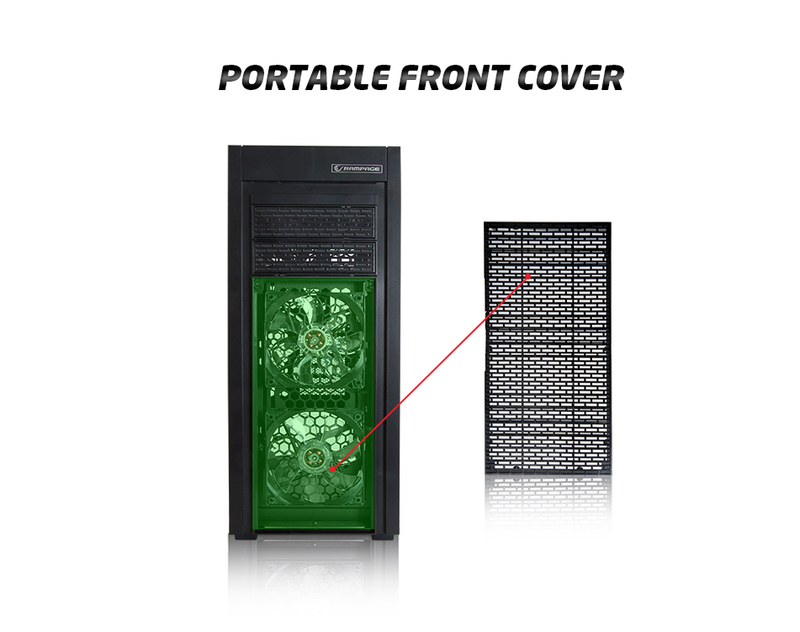 It does not cause any problems during installation and it is designed perfectly on the shelf which prevents the HDD & DVD-RW from being shaken by a special design inside and will prevent damage. Easily mount your HDDs with the latching device with 42cm width! Everest Rampage HECTORA Black 2*USB3.0 + 3*12cm Fan Gaming Case; Easy access socket and inputs on the case making your case more usable. In this way, you can easily connect your headphones, microphone and USB memory. The Rampage HECTOR, which offers more options than many in its field, will allow you to perform many operations at the same time thanks to 2 USB 3.0 & 2 USB 2.0 inputs. 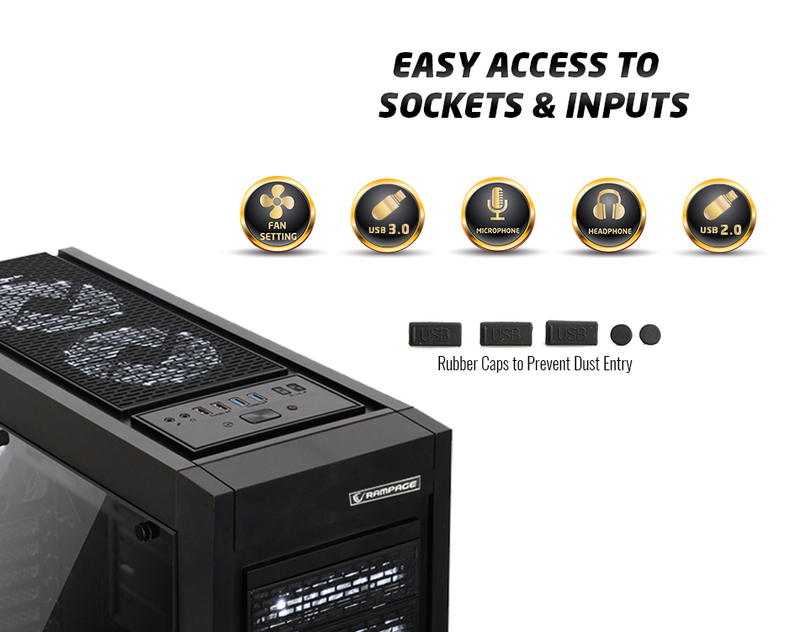 By means of rubber covers designed to prevent the entry of dust, these entries can be closed to minimize dust entry into your case. Everest Rampage HECTORA Black 2*USB3.0 + 3*12cm Fan Gaming Case; Gaming systems produce high temperatures because they are high-performance products. 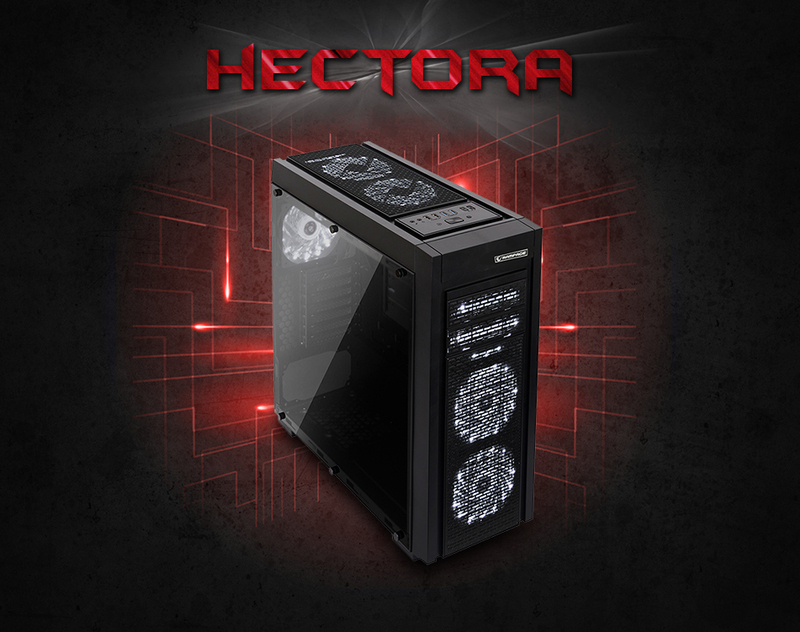 Everest Rampage HECTORA spacious interior design and 3 120mm fans 2 Vertical 120mm fan slot for maximum cooling. 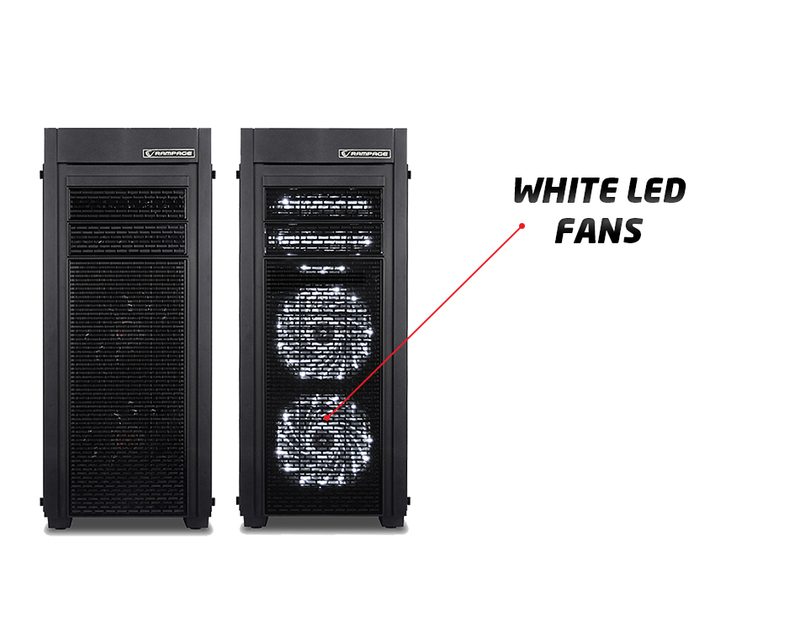 3 pieces of 120mm white LED fan comes with your package together with your case. Everest Rampage HECTORA Black 2*USB3.0 + 3*12cm Fan Gaming Case; It provides maximum cooling and aesthetic appearance through to three 120mm fans with white LEDs for it. 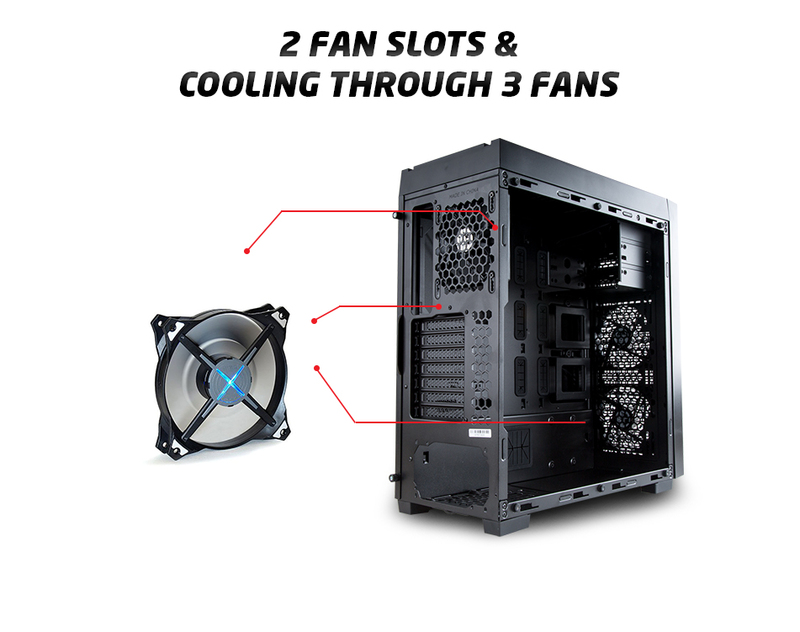 Everest Rampage HECTORA Black 2*USB3.0 + 3*12cm Fan Gaming Case; The front grilles in front of your 120mm diameter fans are designed with portability. You can easily take it out with this simple and easy process.